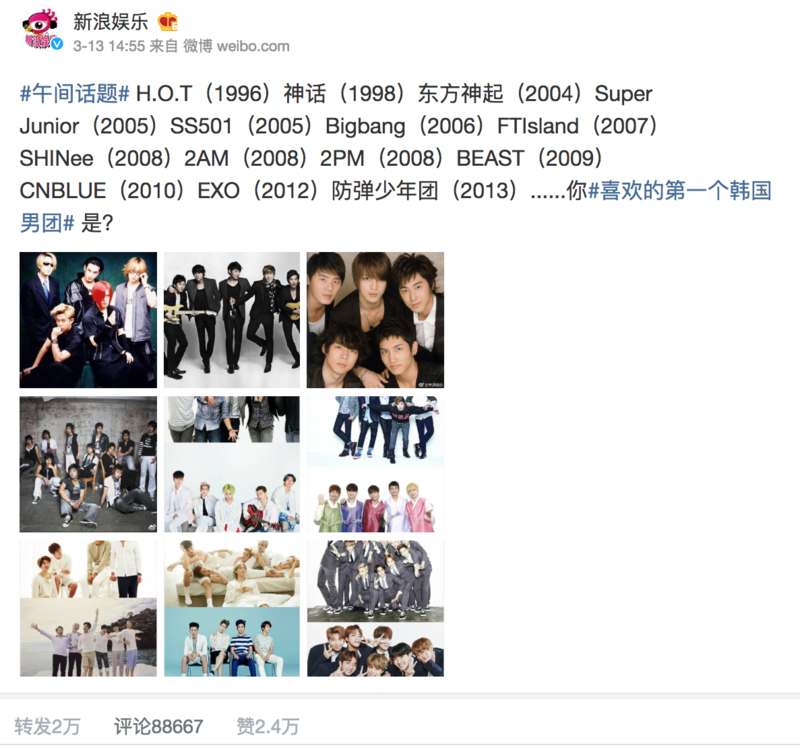 A recent survey was done on Weibo on the first Korean male idol group that users of Weibo first liked. 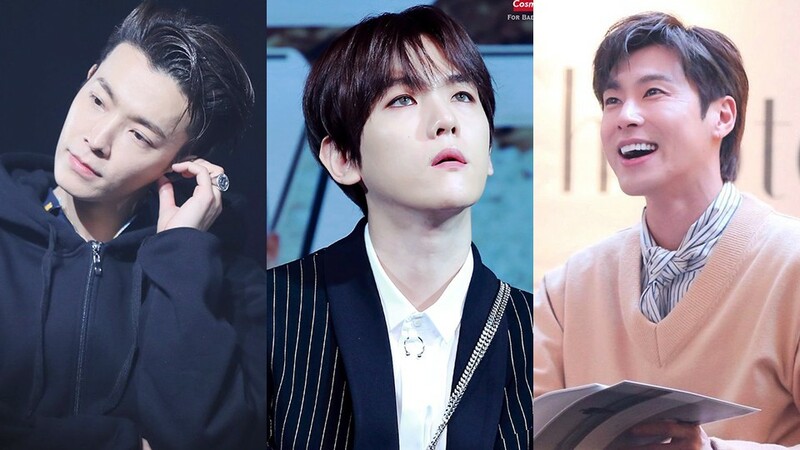 A survey was recently posted on the official account of '新浪娱乐' which is an entertainment portal that has 26 million followers and many participation was seen responding to the question that went "The first Korean boy group you like is?" 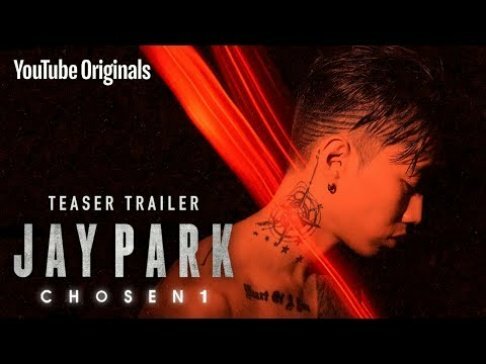 Listing out male idols from the 1st generation idols, H.O.T, Shinhwa to 2nd generation idols TVXQ, Super Junior, SS501, BIGBANG, FTISLAND, SHINee, 2AM, 2PM, BEAST, CNBLUE as well as 3rd generation idols, EXO and BTS, approximately 88667 responds were given in 2 days' time. 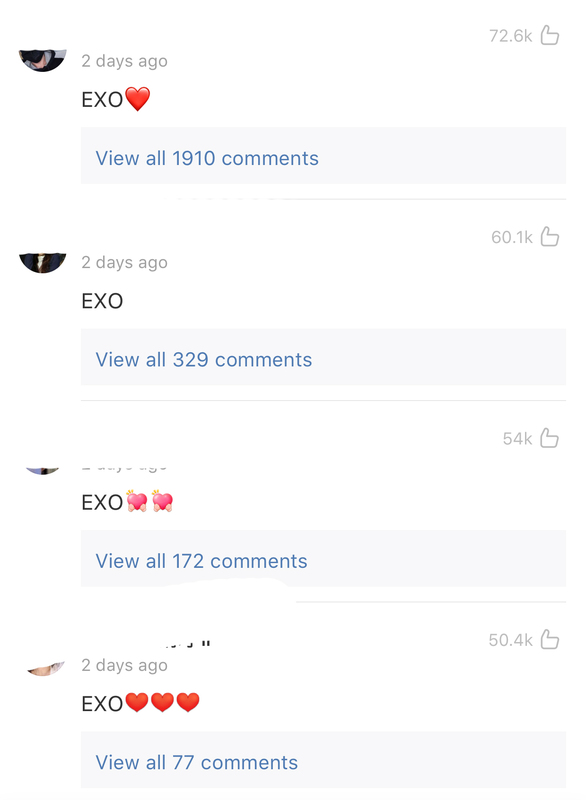 EXO tops with over 72.6K likes given to one comment that wrote 'EXO' and the other comments that wrote 'EXO' too have over 60,000 likes, 50,000 respectively. 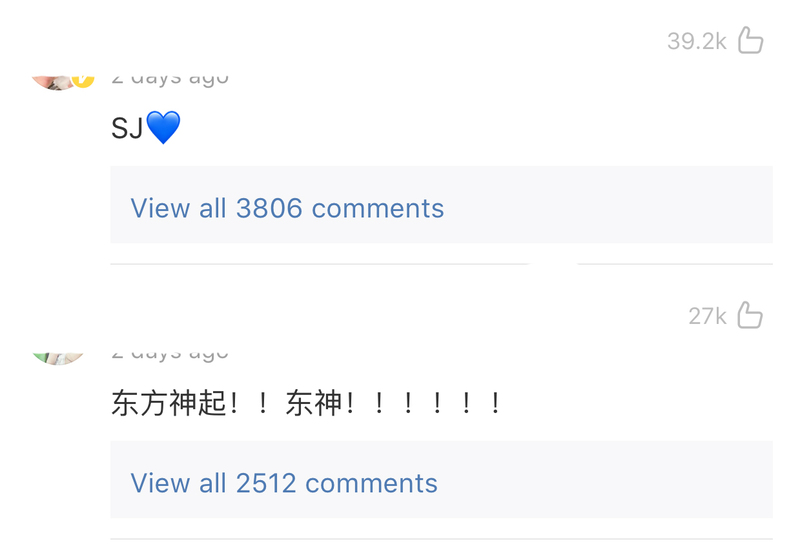 It is then followed by Super Junior at 39.2k and TVXQ at 27K.